Looking for the most amazing country music dog names for your new puppy? You have to check out our favorites! From individual singers to band-inspired names to country music towns, we’ve got the perfect moniker to celebrate your love of that western swing! Plus, find out which breeds are perfect for country music dog names! Which breeds are best for country music dog names? If you’re looking for a great dog name based on country music, look no further! 4. Vernon– Vernon Dalhart was the first country music singer to sell one million copies, earning him a spot in the Country Music Hall of Fame. His 1924 song, “The Wreck of the Old 97 ” not only became the first country music success, it led the way for other southern singers. 5. Waylon- Waylon Jennings is a member of the Country Music Hall of Fame, inducted in 2001 just a year before his death in 2002. He has 16 #1 singles, including “This Time,” “I’m a Ramblin’ Man” and “Good Ol’ Boy” (Dukes of Hazzard Theme ). 7. June– June Carter wore a lot of proverbial hats during her lifetime. She was a country singer, songwriter, actress and a comedian who did plenty of her own work, but she’s probably best-known for her duets with her husband, Johnny Cash . 8. Patsy– Patsy cline was one of country music’s most influential and successful female artists of the 20th century. She tragically died in a plane crash, at the age of 30, on March 5, 1963. 13. Judd– Perfect for a boy or a girl, Judd comes from the The Judds , a mother/daughter duet band that includes Naomi and Wynonna. Naomi is also mom to the popular actress, Ashley Judd. 16. Delia– Delia comes from the Johnny Cash song, Delia’s Gone. It’s kind of a disturbing song, a “murder ballad.” These types of ballads are common themes in country music. Despite the gruesome song origin, it’s still one of the prettiest country music dog names for a girl dog. 17. Elvira– Elvira is a 1981 song by The Oak Ridge Boys . Contrary to popular belief, the song is actually about a street in Nashville and not a woman, according to SongFacts. 18. Jolene– Jolene is a 1973 song by Dolly Parton. It reached #1 on Billboard’s Hot Country Songs Chart. 19. Lucille– Lucille is a 1977 song by Kenny Rogers . The song about a cheating wife is Rogers’ first solo hit after leaving the band, the First Edition. It reached #1 on Billboard’s Hot Country Songs Chart. 20. Ol’ Red– Ol’ Red is a 2002 song by Blake Shelton . It peaked at #1 on Billboard’s Bubbling Under Hot 100 Chart. 21. Branson- Branson, MO became a popular spot for country music fans back in the ’80s, when Loretta Lynn and Waylon Jennings performed there. They host dozens shows and concerts every year at the Grand Country Music Hall on Country Music Boulevard. 22. Dyess– Fans from around the globe travel to Dyess, Arkansas to see the childhood home of Johnny Cash. The home is listed on the National Register of Historic Records. 23. Hurricane– One of the best country music names for a high-energy dog, Hurricane comes from Hurricane Mills, in Tennessee. The town is home to the Loretta Lynn Ranch. 24. Memphis- Along with Nashville, Memphis is one of the most popular destinations for country music fans. It’s home to Elvis Presley’s Graceland. Elvis may be known as the King of Rock and Roll, but he was also a very popular country musician, too. 25. Nashville– Nashville is the capital city of Tennessee. It has been nicknamed the “home of country music.” It’s most-known for Music Row, the city’s famous historical district. Music Row is home to the Country Music Hall of Fame and country music recording labels, such as Big Machine Records, Capitol Records Nashville and RCA Records Nashville. Labrador Retriever– Ranks #1 almost across the board in every southern state. Beagles– one of the few exceptions to the “almost,” Beagles are the #1 dogs in Kentucky. 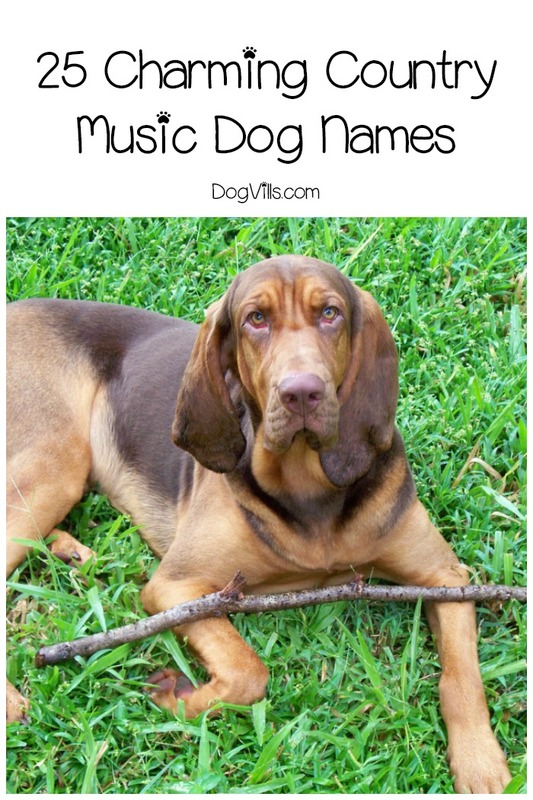 Bloodhound– while bloodhounds don’t make the list of top dogs, they are still perfect for country music dog names. The Beverly Hillbillies had a bloodhound, as did Reese Witherspoon in Sweet Home Alabama . Small dogs, like poodles and Yorkies, are beloved by Southern belles! As I said, you don’t have to have one of these dog breeds to choose a good country music name! There are no rules when it comes to naming dogs! 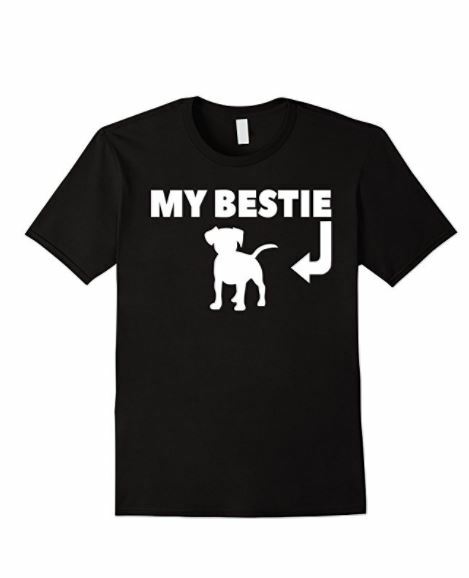 Didn’t find the right name for your dog here? Check out these cowboy and cowgirl dog names for more Southern ideas! Did you name your dog one of these country music dog names? Tell us about it below!